Your mother, your sister, your daughter, your niece, your girlfriend, your wife and to some, your mistress all deserve the same respect as men. It’s time for men to take a step down and have women take charge of this planet. It’s called Mother Earth for a reason. So take over ladies and march forward. 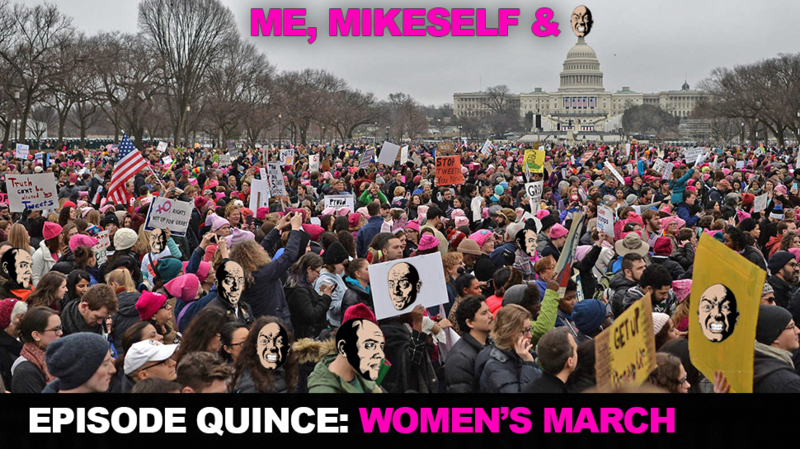 In this episode I talk about my experience at the Women’s March, I talk about the education secretary nominee, Betsy DeVos – 2+2 is not 3 Betsy and answer a question properly. Just listen and you will understand why I am so angry with her. Don’t forget, my podcast of the day: “2 Dumb 2 Tame” with Mia Pinchoff. So men, man up and listen to this episode. Women, multitask and share this episode with everyone you know.